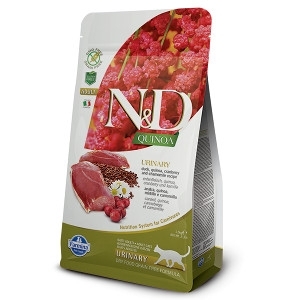 Farmina N&D Urinary Duck Cat Food 3.3 lb. Duck, quinoa, cranberry and chamomille. Complete food for adult cats.